For September, I am actually in 3 different swaps on Facebook. These are the cards for 2 of my swap groups. 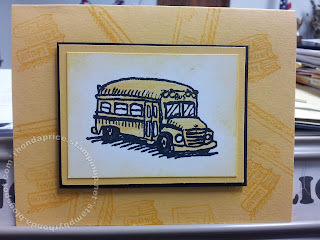 In Stampin Up Friends we have a monthly theme and a sweepstakes winner chosen from the participants. 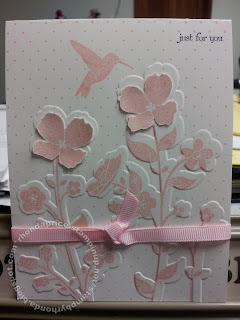 For the sweepstakes card, I used Blushing Bride and the Wildflower Meadow Bundle. The ribbon is Pretty in Pink. We can use retired if we need to. The themed card is Thinking of You/Praying for You. 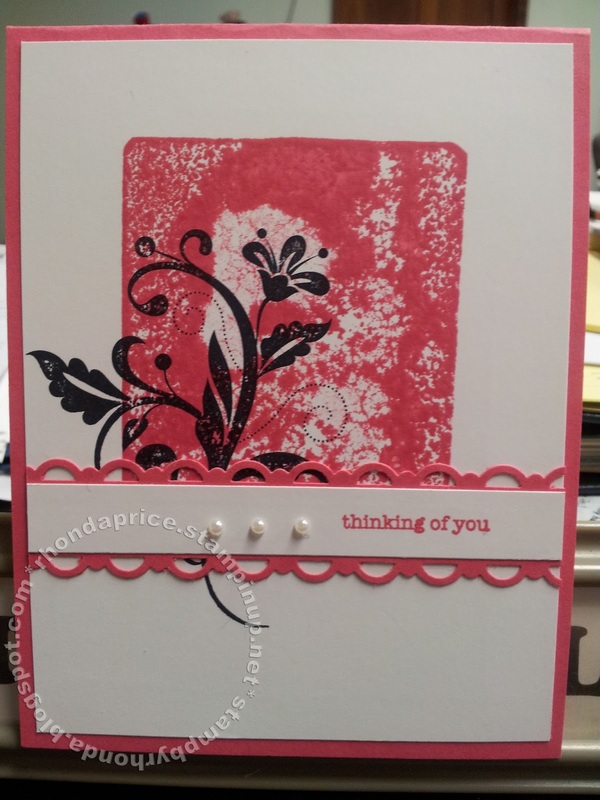 I went with Strawberry Slush for this card. Just because it is a Thinking of You/Praying for You doesn't mean it has to be somber colors for me. Sometimes a pop of color can cheer up someone who is feeling a bit down. I used color blocking (inking up a clear block and stamping to create a background) and an image from Flowering Flourishes. This card is for the swap group Stampin Up Addicts. This is the first month for this swap group. The theme is Back to School. Retired items are allowed for this swap. I recently purchased It's Academic. I love this stamp set even though it is retired. 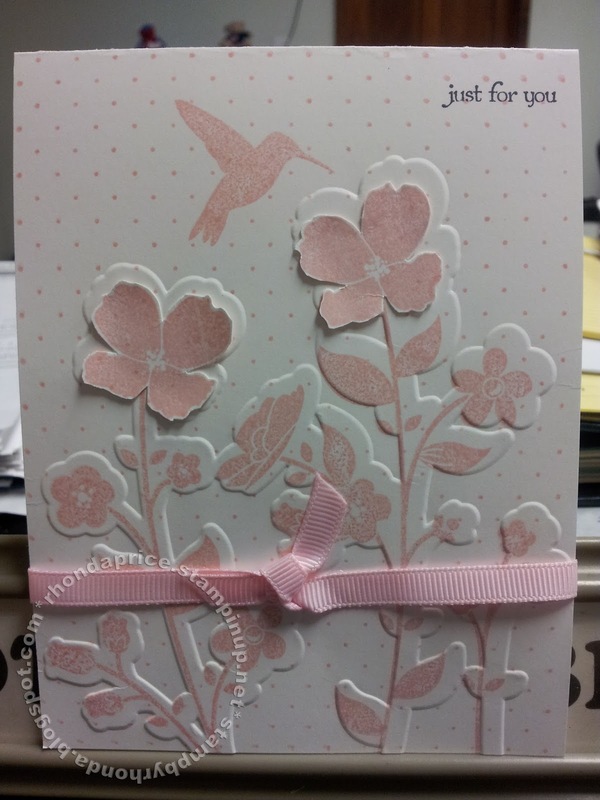 I love the way the Daffodil Delight looks when stamped on Daffodil Delight Cardstock. It is dark enough to make a great background. 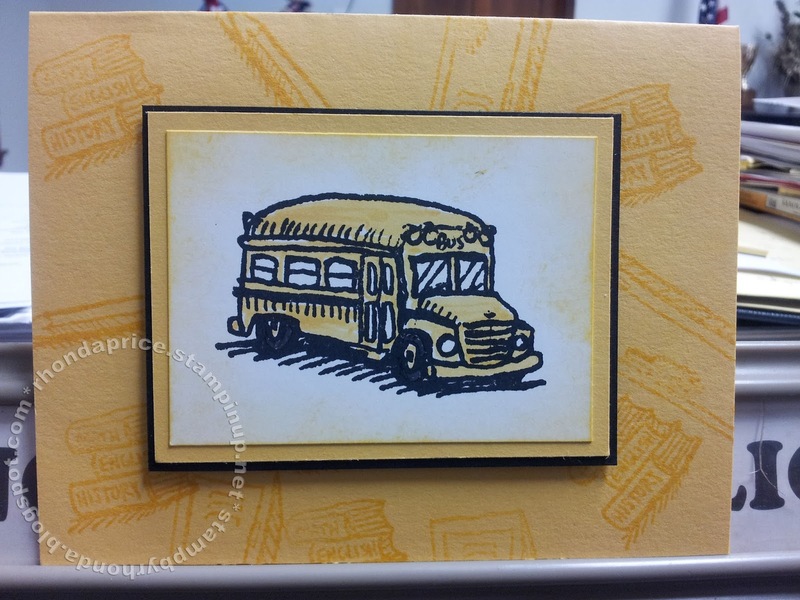 A lot of demonstrators do not keep retired stamp sets and would not purchase a set if it was retired. I love some of the retired sets. I make cards and sell them to people who aren't interested in making their own cards. I do purchase retired stamp sets I like if I can get them for the right price. I made a scrapbook for a retiring teacher and I really wish I had this set then. You just never know what you might need for a project.